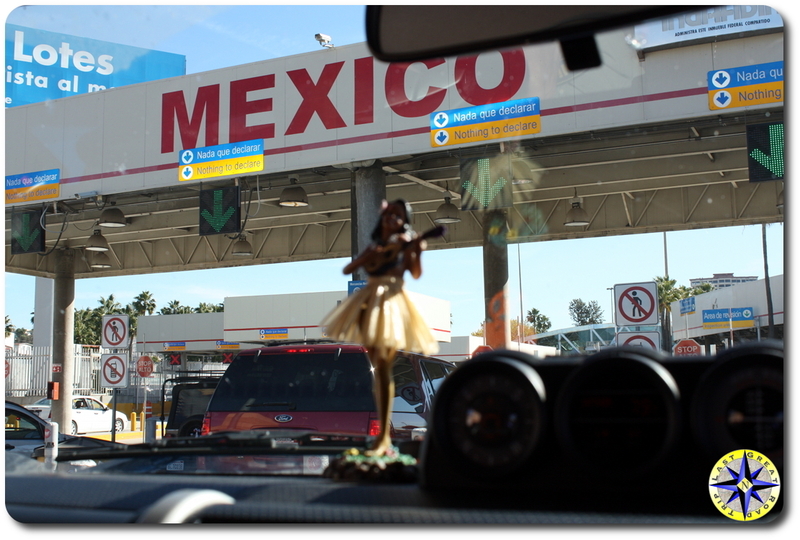 The busiest border crossing between Mexico and the USA is only 20 miles from San Diego and within moments of crossing into Tijuana we knew we were worlds away from home. 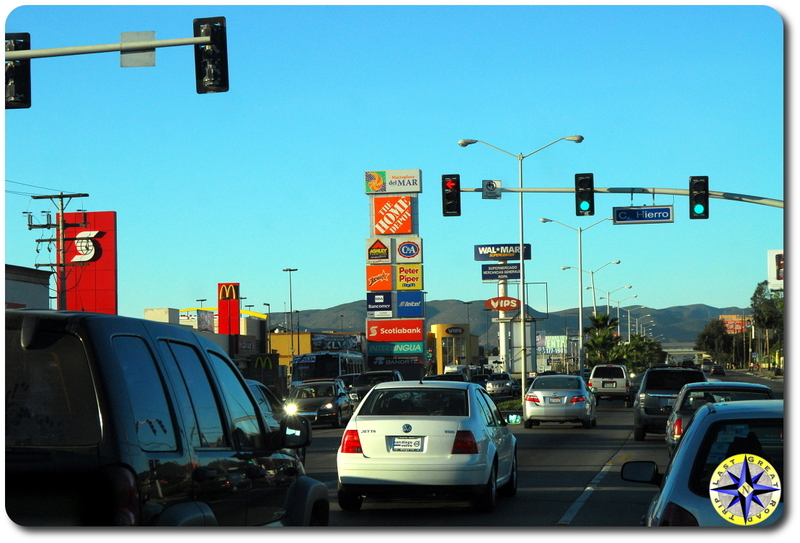 Driving in Tijuana is a full contact sport. Traffic lanes are arbitrary. Trucks, cars, bikes, carts, people and dogs all occupy space on the road. Lane changes occur without notice. Alto signs signify slow to a rolling stop and judge the intent of the cars coming the other directions. Drivers honk to announce their presence with authority and like a black hole, round-abouts refuse to release you from their grip once you are drawn in. Through it all we managed to find the immigration office. 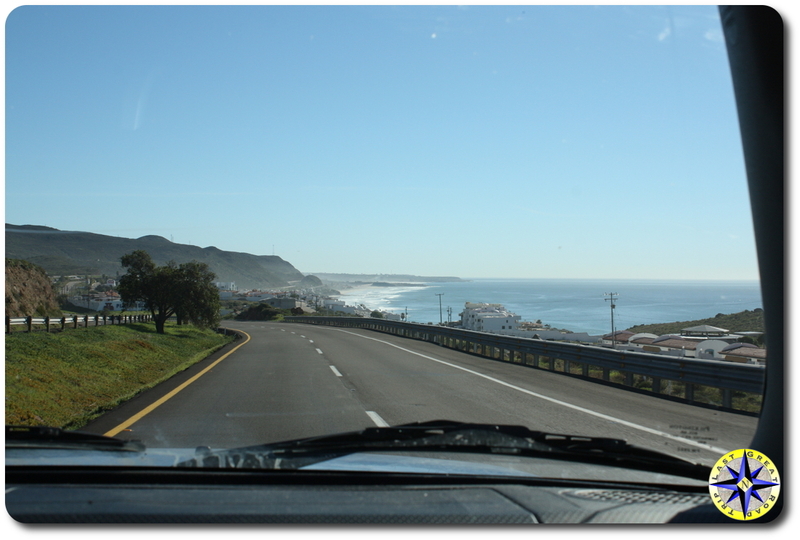 If you will be traveling south of Ensenada, you first visit the immigration office. 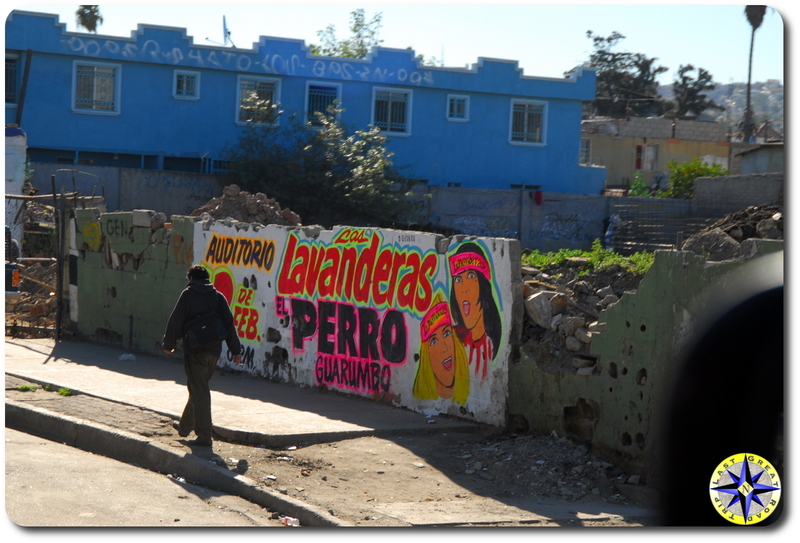 Around the corner, hidden down a back alley and obscured by taco carts we managed to find the entrance into the walled off parking lot of the border inspection station where apparently, stupid tourist was tattooed across our forehead, at least according to the oficial de inmigración. How else could we not know that the third office door on the back side courtyard of the compound was our destination. After all it did say inmigración in the general vicinity of the door. Obtaining a visa is an interesting activity. You go into a small spartan office where a large official looking man rests behind a desk with small old chairs in front, reminiscent of a visit to the junior high principle’s office. You hand over your passport, explain where you are going and how long you will be in the country. The large man fills our some paper work then tells you to sign the form and directs you to the other end of the compound, authoritatively telling you to return when you are done. At the other office, after waiting in line, you work your way up to a polite skinny young man sitting behind bullet proof glass with a small sliding box in the counter which allows you to pass your paper work to him. Without a word, he officially punches information into a computer, opens and closes binders, walks to and from a back room. At this point he announces some large number (we later learned was $21) through small slits in the two inch thick acrylic. You place your money into the box which he draws back and disappears again into a back room. Returning moments latter the skinny young man stamps a couple of pieces of paper which are placed back into the box and slid your way with the change that it now in Pesos. At this point you trek back to the original office, take a seat in one of two wobbly, vinyl covered 60’s diner chairs and politely slide your paper work and passport across the desk back to the large official looking man who withdraws from his desk draw an ink pad and stamp that is then pressed into your passport and visa. He slides your now completed tourist visa and passport back halfway across the desk, forcing you to reach forward for you paperwork as you thank him and exit the small office avoiding the fan which continues to hum as it oscillates back and forth by the door. You are now officially allowed to wonder Mexico for next 180 days. 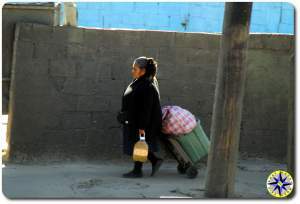 The entrepreneurial spirit is alive and thriving in Tijuana. The road from Tijuana to Ensenada begins by condensing six lanes of traffic from every direction, down to just two. The congestion is further slowed by the men who are wondering from car to car splashing your windshield with water and dragging a squeegee across, followed by asking you for a few pesos to feed their small children. You can hold fast and return no’s to the volleys of “please something for my children” or cave, hand over your change and immediately draw the attention of everyone else in the pueblo. 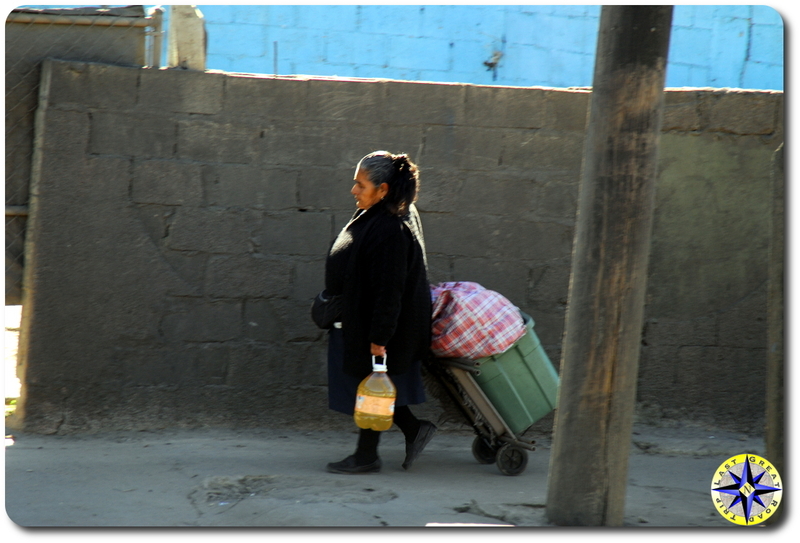 This gauntlet of small businesses includes women and children selling trinkets, snacks and bottled water as well as beggars with a hand out or and old plastic cup. We began the long climb as the traffic’s pace picked up following Mex 1 out of town to Ensenada. We opted for the toll road more out of that was the lane we were in rather than design. 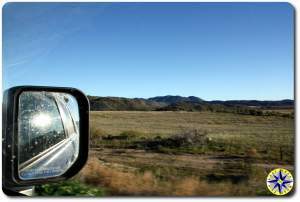 However, the 27 pesos allowed us to zip along at 90 km/hr on a nearly empty four lane highway. That was until we reached the first military check point. The check points are run by the military, by small teams who are only 18 year old kids sporting automatic weapons and don’t speak much English, but they are polite and doing their best to reduce the drug traffic. The military is your friend in Mexico. There are real problems with drugs, killings and smuggling in Mexico. 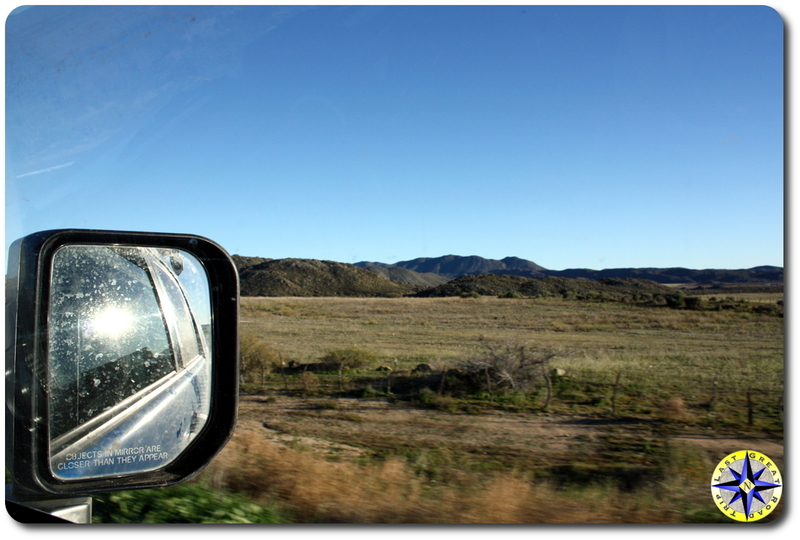 We did not see a single issue in Baja and we were traveling all over it. Going south the check points were simply rolling up to the stop and having the young man in fatigues and dark sunglasses flag us on as the two other solders peered at us from behind sandbags on either side of the rig. We were courteous and respectful of the difficult job they were doing and they showed us the same. 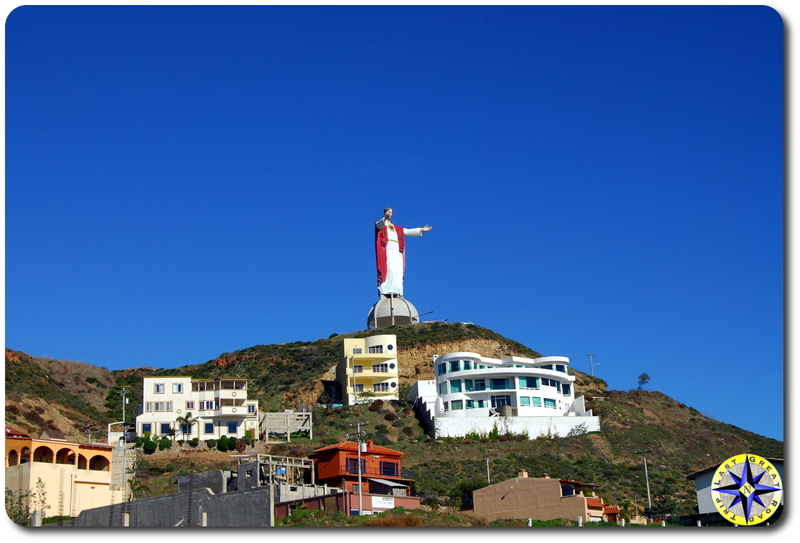 Ensenada gave us the first glimpse of the Pacific, Mexico’s religious ties and NAFTA’s long reach (large Costco warehouses and Home Depot centers). 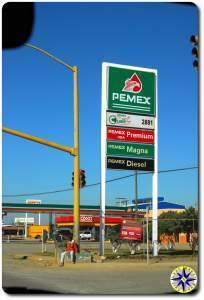 It was also our introduction to Pemex, the government owned and only official gas stations. Most of the Pemex stations sell both regular (magna) and premium gas but they don’t take US dollars or Visa. 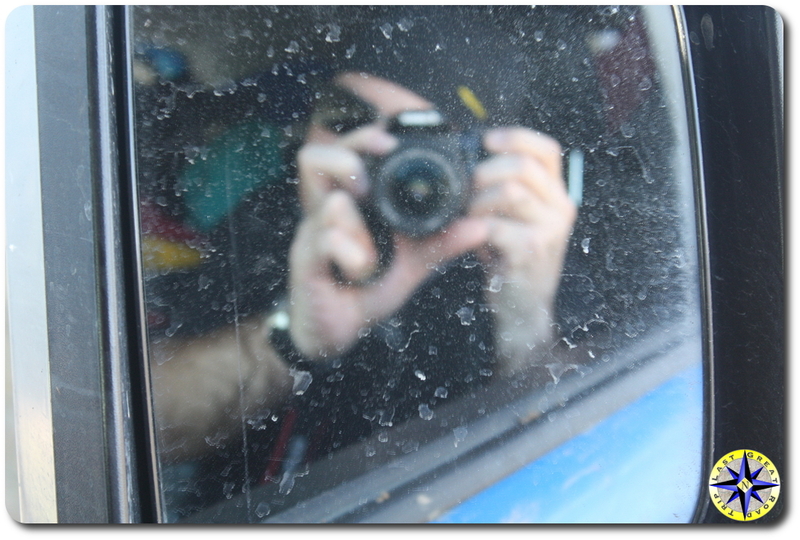 The rig’s thirst for gas and Pemex’s minimal payment options would govern our peso management throughout the trip. Wherever we stayed, wherever we ate, whatever we bought outside of fuel, we tried to get them to accept Visa or USD. Even if it meant paying a little more. We knew in a pinch gas could be found through the not so official channels (you can always find gas if you know where to look) and that USD would be welcomed, but it would be our last resort. And while cars and gas stations may be the domain of men in the USA, Pemex’s were most likely to have young girls working the pumps who spoke a little english and found Hula Betty intriguing. 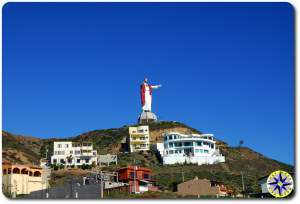 Ensenada marked the end of city life, at least for a while, and the beginning of our GPS route that would take us out into the country side which soon became very familiar with its free roaming cattle, watchful buzzards and minimal traffic. 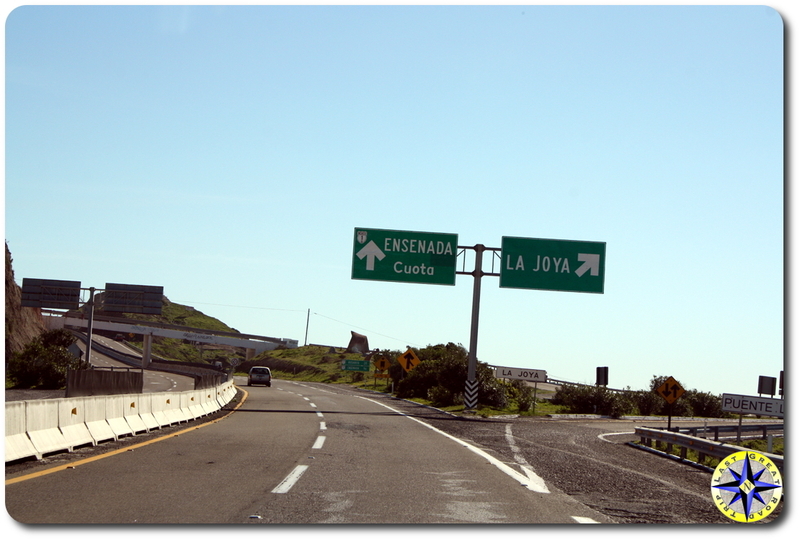 While we may have been 105 km south of the Mexican border, Ensenada was where our adventure officially began. Another great write up Paul. Thx Brian, Glad you like it. Thank you for your thoughts. I’m so glad you enjoy our adventures as much as we enjoy sharing them.